You accidentally click on the cross (X) button which results in the tab getting closed. And, then you realized that you weren’t done with that web page. 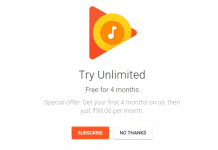 So, in this tutorial, I am going to explain the procedure on how to reopen a closed tab in Chrome, Firefox, Safari, Internet Explore and Microsoft Edge. These five are the modern web browsers that most of the people are using these days. The tab function allows you to open multiple web pages on the Internet browser at the same time. When you open too many tabs on a browser, the size of the tabs become smaller which causes accidental click on the close button. Sometimes you forget to bookmark an exclusive page that you intend to access in the future and close the web browser by mistake. And then struggle to open it again and browse the page which you left last time. No worries, you can easily get your recently closed tabs back within a second. 1 How to Open Recently Closed Tabs in Any Browser? How to Open Recently Closed Tabs in Any Browser? There are many web browsers available on the planet, but I have listed five of the popular browsers to show you how to reopen a closed tab in these browsers. Some browsers also allow the shortcut to restore closed tabs quickly. Ready to find how you can get it done? Here you go! Probably, Google Chrome is the most popular web browser has really the shortest way to reopen a closed tab. From your keyboard just press Ctrl+Shift+T and it will open the last closed tab. Chrome remembers last ten tabs you have closed, and you can easily reopen them by pressing Ctrl+Shift+T repeatedly. 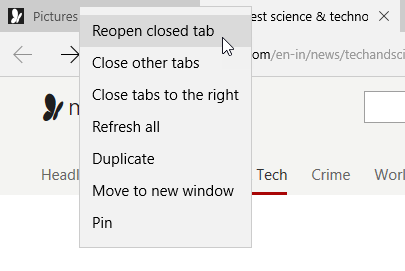 Or, you can get the tabs back by right-clicking in the tab bar and selecting “Reopen closed tab” from the menu. If you are looking for a web page that you have visited before few days, then go to the history (Ctrl+h) page and search for that page or you can directly click on that page from the history list. Mozilla Firefox is an open source web browser developed by the Mozilla Foundation. According to the report, it is the 2nd most popular web browser on the planet. The process to reopen a closed tab in Firefox is same as the Google Chrome. 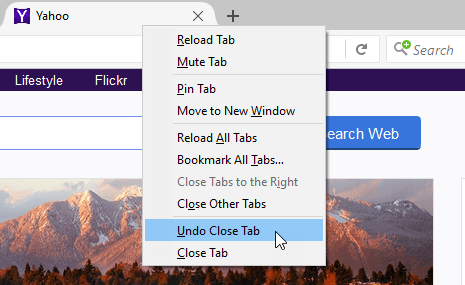 All you need to do, just right-click on any tab and select “Undo Close tab“. That’s it. Or, you can do it by pressing the shortcut from your keyboard Ctrl+Shift+T. Firefox also allows you to reopen the last ten tabs by applying the shortcut. In order to find out the previously closed tabs from the Firefox browser, you could use the History page (Ctrl+H). It stores the history data in day basis that you could easily find out what you are searching for. Internet Explorer or IE is the default web browser for Windows operating system. It was the top browser during 2002-2003. The latest version of IE was released with Windows 8, and then Microsoft discontinued it. 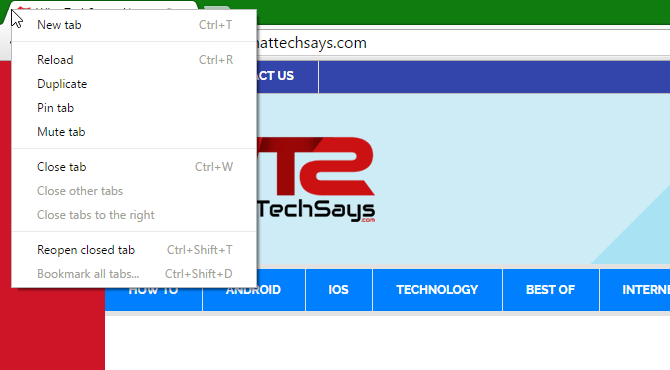 To reopen the last closed tab, the shortcut is similar to Firefox and Chrome. Ctrl+Shift+T will do it for you. The History section also stores all of your browser data. You can also open all closed tabs from the current session on new tabs by selecting “Open all closed tabs”. 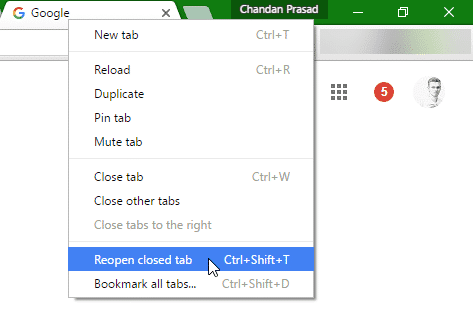 This feature is quite helpful to recover all tabs at once, and IE does it smartly. Edge is the new generation web browser introduced with Windows 10. 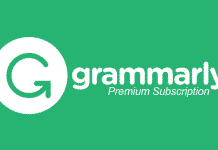 Unlike IE, you can install web extensions like Chrome and Firefox to enhance its feature. To reopen the most recent closed tab, simply right-click on a tab and select “Reopen closed tab” or press Ctrl+Shift+T on your keyboard. The shortcut only works when you right-click on an active tab. You could use the shortcut repeatedly to open all recently closed tabs. In order to access the History, simply press Ctrl+H on your keyboard or click on the “Hub” button on the toolbar in the upper-right corner of the Edge window. Safari is the default web browser for Apple’s operating systems. 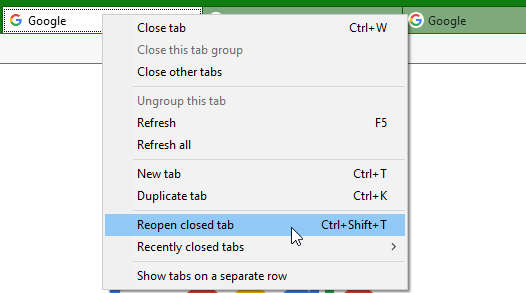 It has even more simpler shortcut to reopen a closed tab. Simply press Cmd+Z on your keyboard and it’ll open last closed tab. If you have closed multiple tabs and wanted to restore them, then you should use the History by using the menu or keyboard shortcut (Option+Cmd+2). Here you can open accidently closed tabs. Suppose, accidently you closed your browser and wanted to recover the last opened tabs, then navigate to history and click on “Reopen All Windows From Last Session”. 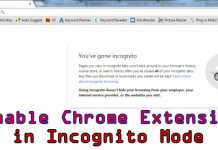 I hope this tutorial will help you to understand on how to reopen a closed tab in Chrome, Firefox, Safari, Internet Explore and Microsoft Edge browser. It will never make you lose any important page that you accidently closed, and that can boost your productivity. Besides Safari, all four browsers are used Ctrl+H to access the History page.